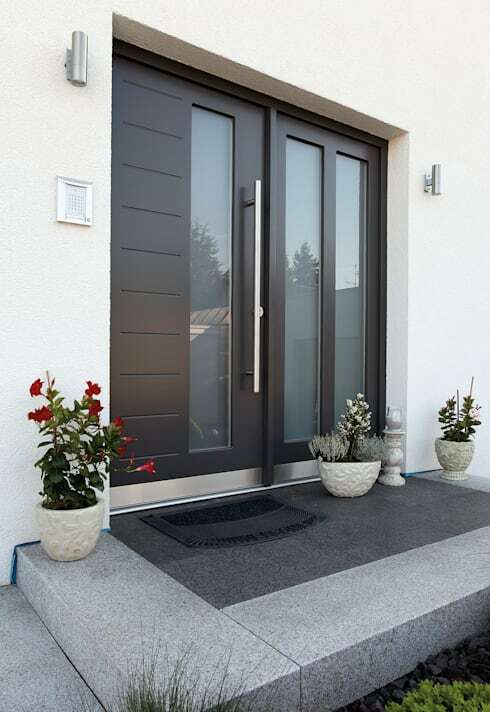 Your home's entrance is the very first aspect of décor that guests see when they visit, which is why it's so important to ensure that this space is interesting and inviting. These fantastic, simple, ideas will help you pretty-up your home entrance, and with 15 décor tips at hand, we’re sure you'll find an option that appeals! From modern, rustic, elegant to luxurious, we have something for every taste. 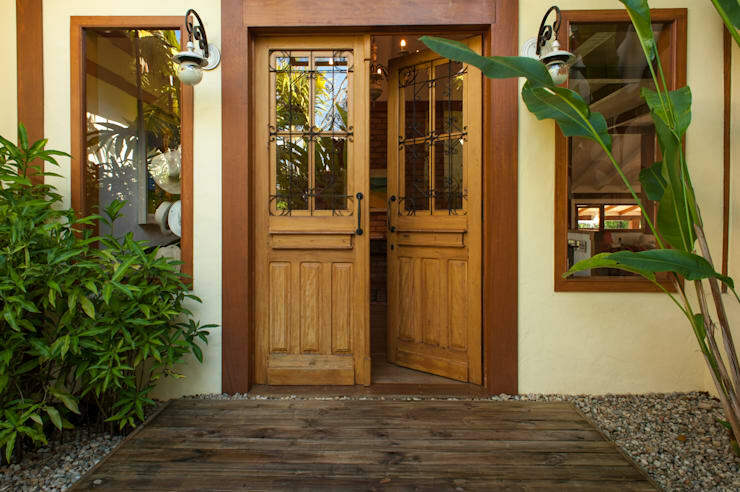 A chic and more welcoming entrance is achievable—let’s find out how! 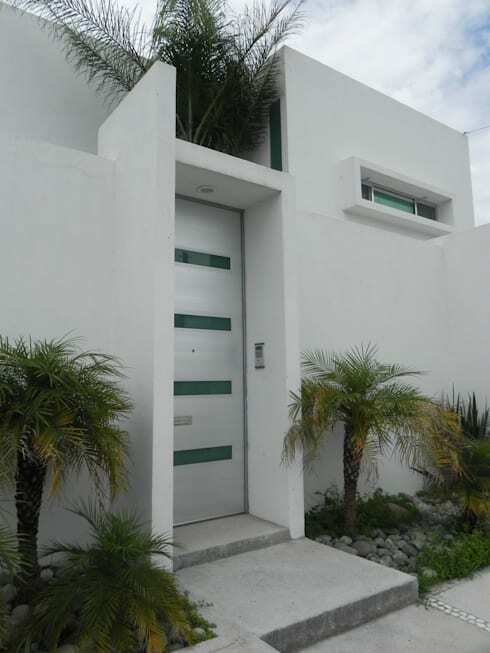 Although this main entrance has a minimalist persona, it is also creative and attractive. The addition of a clay pot is interesting, and with the white gravel surroundings, the effect is elegant. This board pathway is a charming choice for any modern home. And with the lovely illumination and striking plant life, the entrance is just wonderful. Going for a doormat at the entrance creates a dual role for décor. It ensures that your floors remain clean, while adding a welcoming ambiance as well. 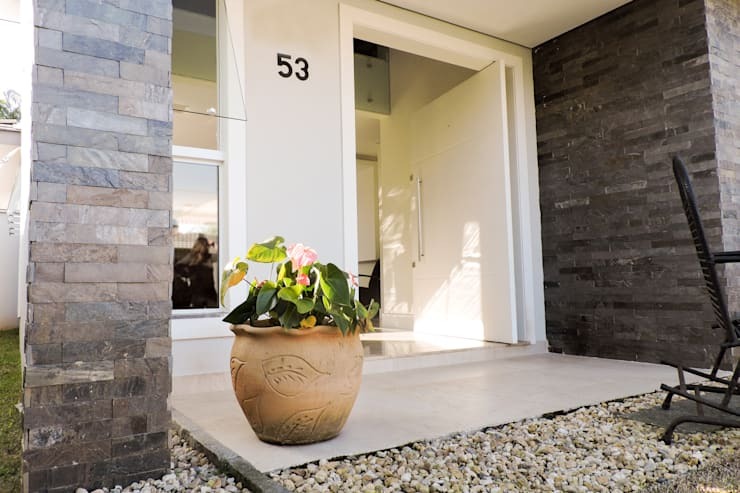 Adding pot plants to the entrance is a great way to ensure a fresh and vibrant aesthetic. 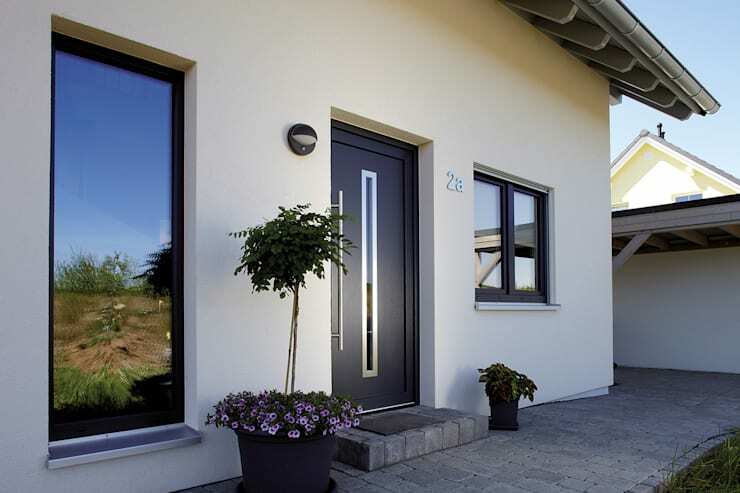 This is an especially elegant feature for white or plain exteriors. There’s something so comforting about the sound of running water… So go for a moat-like appearance at your entrance, and you’ll have a home with palatial personality. If you like statement-making detail and artwork, then a sculpture at the entrance is a great idea. 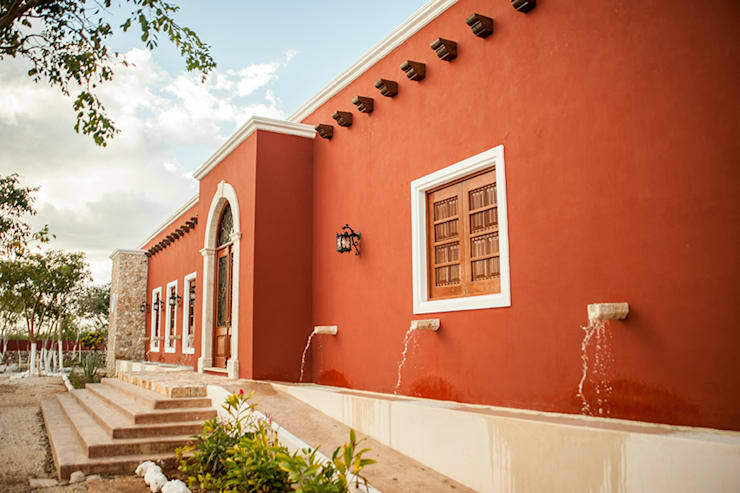 Your guests will be left wondering about the artistic appeal that awaits inside, too. 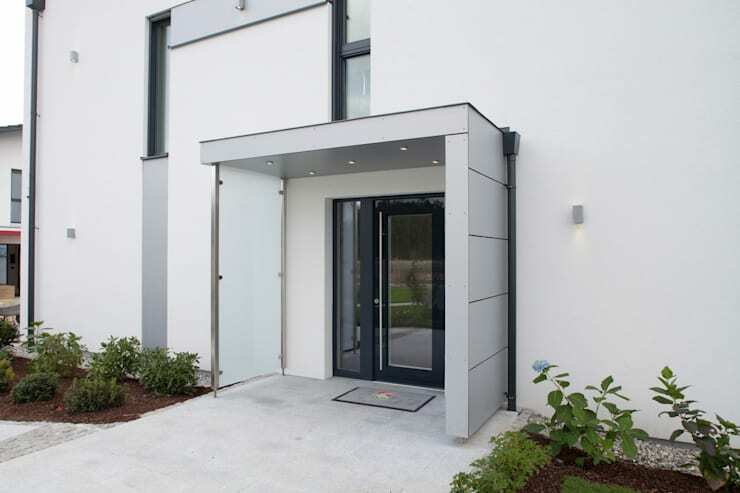 Architects often consider a tidy entrance such as this for a compact home. It’s a simple choice that requires very little maintenance, while being tasteful too. Inspired by rustic décor and classic detail? 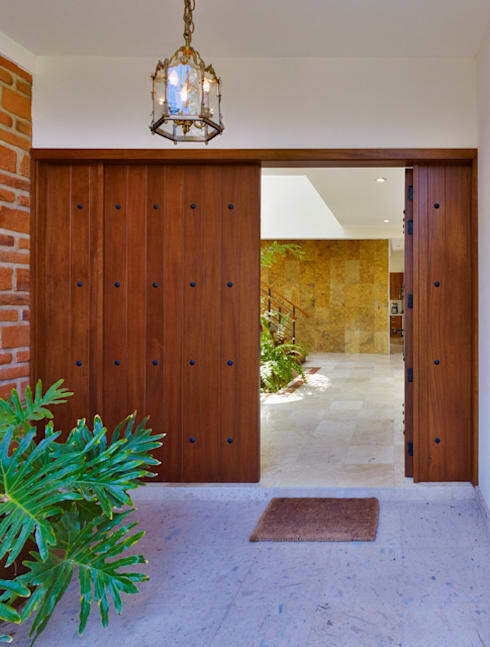 A wooden door with a wooden frame is the perfect way to recreate that style in a simple way. 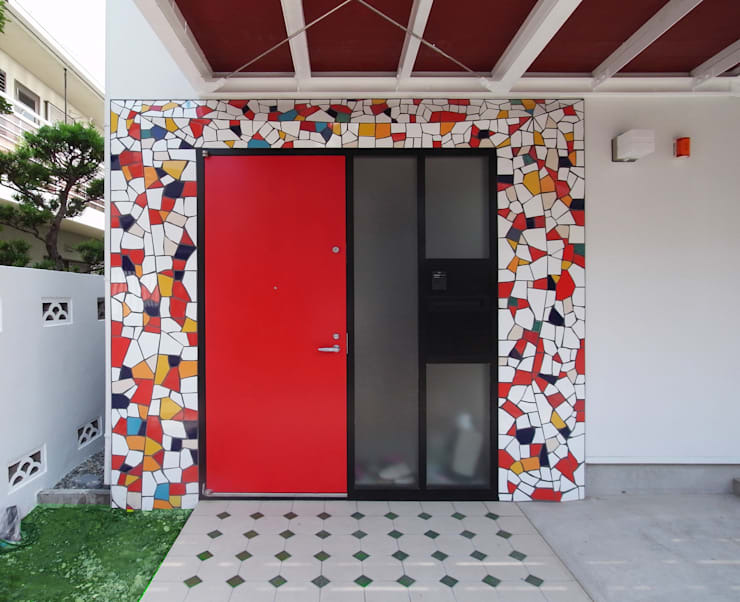 A pop of colour is an awesome way to add drama to your entrance, so pick a gorgeous vibrant shade and mosaic tiles for an interesting façade. Make your home's entrance an expression of the things that matter to you! These large vases will be attractive and fascinating, don’t you think? 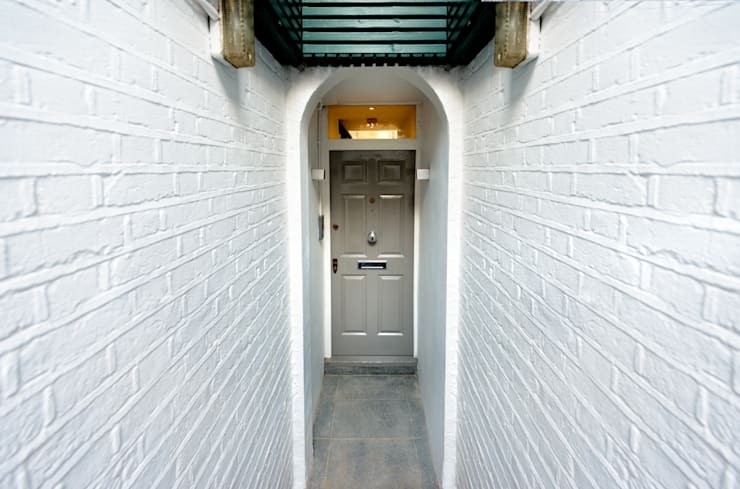 You may think your décor options are limited for narrow corridors, but with some neutral colours and quirky effects, this entrance is a wonderful feature in its own right. 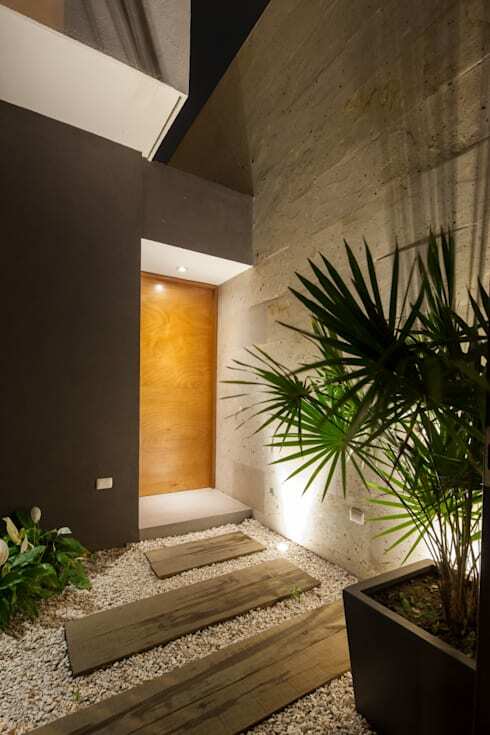 This mildly tropical design is an awesome idea for a unique home entrance. 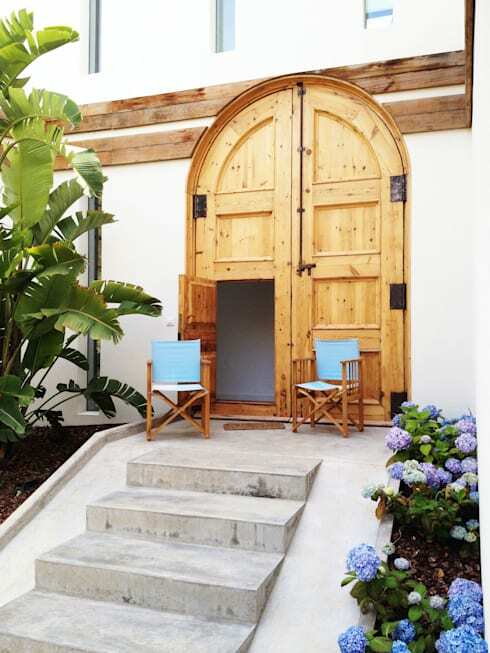 Teamed with rich hydrangeas and gorgeous palms, this quirky wooden door is utterly beguiling. 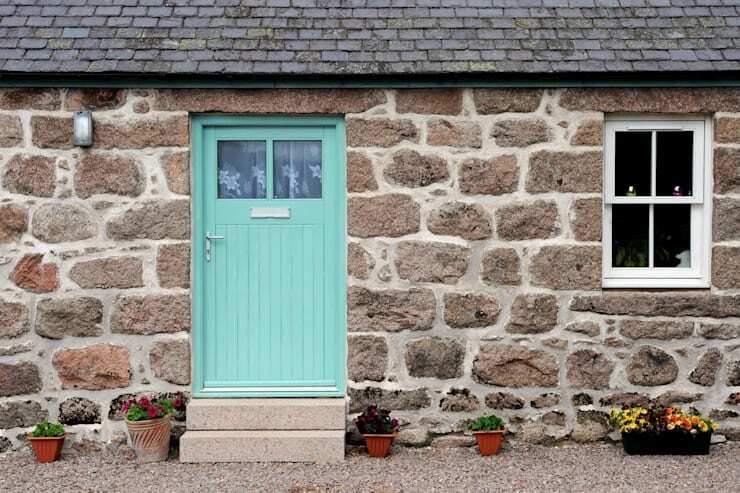 This colourful door adds a traditional yet charming effect to the rustic stone exterior, while being warm and playful. The mini plant pots finish the look perfectly. 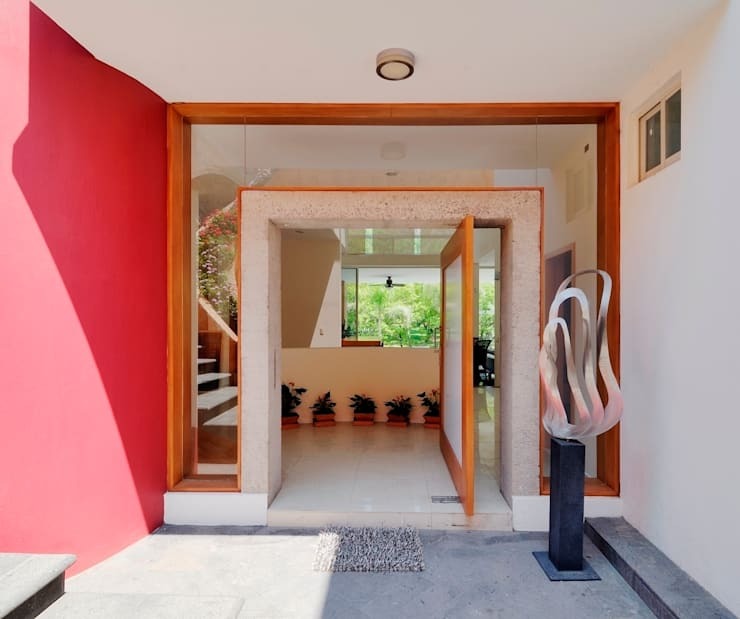 This entrance is an example of simple modern décor, with very few colours detracting from the clean aesthetic. However, the addition of some small garden garden beds adds a touch of vitality. Our final stop in this Ideabook looks at pot plants as the main décor feature for an inviting entrance. So consider sprucing up your exterior with some simple yet colourful flora for a friendlier façade! Inspired by these ideas? Then here are 10 chic entrances perfect for Singapore homes. Which of the 15 ideas would you add to your home?